Hi, Colts fans! Our Indianapolis Colts try to go above their 6-6 regular season record, as they are in Southeast Texas to play the 9-3 and AFC South leading Houston Texans, Texans are on a nine-game winning streak since losing their first three games of the regular season, hence their 9-3 record, but the Colts certainly won't be their tenth straight opponent in as many games to continue their streak. 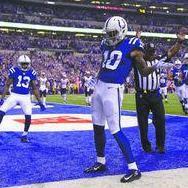 Colts seek to win again in Houston's NRG Stadium this after Jacoby Brissett threw 2 touchdown passes, both to T.Y Hilton from 45 and 80 yards, and Adam Vinitieri added his two field goals from 22 and 53 yards, and his 2 PAT's, for the 20-14 final back on November 5, 2017. Colts seeks to avenge their earlier loss, when Texans kicker Ka'imi Fairbairn kicked his game-winning, 37-yard field goal with 5:00 left in overtime, to help Houston defeat Indianapolis 37-34, at the real Lucas Oil Stadium back on September 30. Indianapolis still leads the all-time regular season series over the Houston Texans over any NFL opponent since the series and rivalry in the AFC South began in September 2002 at 25 wins and 8 losses, but the Texans has won 4 of the last 6 games since December 2015. Texans record has improved by five games in 2018, and were 4-8 after 13 weeks of the 2017 NFL season, due to their second-year QB. DeShaun Watson. Watson may have won NFL Rookie Of The Year and help the Texans from their 4-12 record last year, and continue setting both Texans and NFL rookie record, if it wasn't his torn ACL he suffered in practice after a Week 8 loss in Seattle. NRG Stadium's retractable roof will likely be closed, because mostly cloudy skies at 50 degrees, feels like 47 degrees, is the local forecast for this afternoon's 1:05 PM Eastern Standard Time kickoff, along with 0% precipitation, 63% humidity, and north/northwest winds at 8 miles per hour. Head Linesman Bill Vinovich and his NFL officiating crew will supervise the game action in the NRG Field between the Colts and Texans. Colts and Texans players continue to participate during December's 'My Cause, My Cleats,' campaign, by wearing their personal Nike custom-designed football cleats they wear on the field during game action , to raise public aware and support their personal causes and charities. NO injuries, win your seventh straight on the road as they Texans have done earlier in Indianapolis, and LET'S GO COLTS!!!!! Thanks LOS, I am predicting a huge Colts win. 20-17 Colts win. I'll also predict 28-14 Colts win over Texans Coltsbestever, considering Andrew Luck has more veteran NFL experience and leadership than DeShaun Watson, Colts defence has to also contain and overcome the Texans from the NFL's #5 scoring offense while the Colts have the #15 scoring offense. GO COLTS!! Houston is due for a loss, and this week is a good time for that. TY Hilton was questionable, but it looks like he will be playing. That's a positive sign. No team is ever "due" for a loss or even a win. That's like seeing 10 red spaces come up on a roulette wheel and betting the farm on black because it's "due". The bottom line is that Kelly is probably out, Watt and Clowney are going to wreck havoc, and we are out of sync on offense. We need to establish the run today, get pressure on Watson again like last time, and not turn the ball over. I think we get beat 27-17 or something close. This is a bad matchup for us. Huge game for both teams. Houston is in the hunt for a bye and home field advantage. Maybe more importantly, they want to establish themselves as the class of the division. It's going to be tough for the Colts to win this one. I think the Texans win 31-17. It's not like the Colts don't have a chance though. If Luck is on it and can have a good game, we can stay in this game. It'll be fun to see how both of these teams play in such a crucial game. Do or die for the Colts. Hello Game Day friends, hope you all enjoy the game and we see the Colts win. I hope we can get the run game going today. I think it’s the only way Luck isn’t sacked 4+ times again. 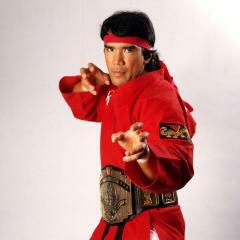 If we don't get the running game going the Bell train is going to be taking on more passengers. First thanx LOS ……… Now as to the game I am DEMANDING that just for once lets have a game where we DO NOT turn the ball over …… and......AND !.....HAVE ZERO PENALTIES ! Those are my minimum expectations of this team today ………. 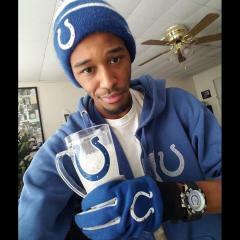 GO COLTS !!!!! This team is an injury prone bunch....I hope we start drafting tougher guys, we've needed more physical players for decades! So many Colts fans here at NRG stadium! Go Colts! Thanks LOS This is a huge game for both teams. Hoping our offense can get back in sync this week and bring home the win. Let's snap the texans winning streak!!! Is Reich performing "The Gambler" at halftime? Adams did awesome there. Very disciplined. How many more dropped passes will lead to the Colts 7th loss ??? Fourth down. Nice round, D.
Decent field position here. I liked the 3rd and short situation last drive. Gotta think Ebron will make up for that drop. 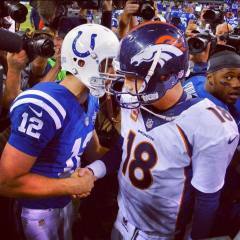 Come on Colts beat these frauds. Good luck everybody...I don’t get the game and have to go to work soon so I won’t know much until tonight. Don't be afraid to use screen passes to Mack! what i dont understand is 3rd and 4 everybody goes 10 yards deep but ebron. 3 and 10 everybody goes 4 yards deep. These handoffs look very telegraphed. 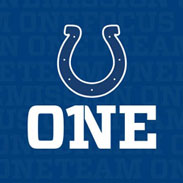 Rodgers nice ……… LETS GO COLTS !!!!! Ok now I know it is the 2018 Colts …...A penalty . *********** dump off is tipped. Damn. This isnt going to do it. Yep Online going to have to work hard today!